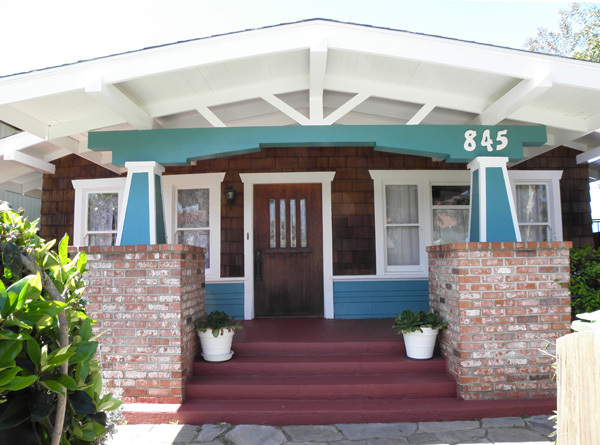 Home » Listings » 845 Victoria Ave.
1914 2 bedroom + 1 bath cottage with front porch ambiance. Open living room with fireplace and kitchen with eating counter, garden window and recessed lighting. Original tile bathroom. One bedroom has built-in bookcase. Converted garage with 3/4 bath ideal for office. Rear deck great for outdoor living. Eat healthy from avocado, tangerine, lemon and fig trees and grape vines.